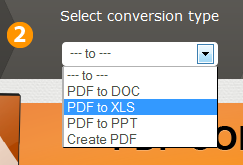 The folks at PDFConverter.com have been busy as of late, not only launching an enhanced edition of their flagship online PDF Converter Elite software, but also developing and releasing awfully free online PDF converter as well. 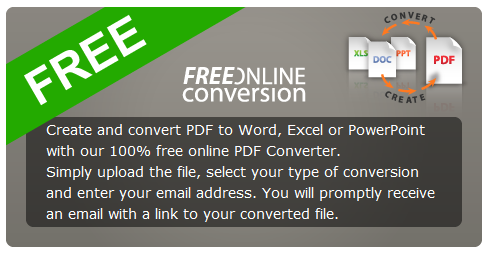 This free online PDF conversion tool can be used free of any cost and it allows users to quickly and effectively convert their PDF documents to various other file formats. The new online PDF converter lets you create PDF from more than 300 Windows file formats and convert your PDFs to Microsoft Word, Excel and PowerPoint files. There is no limit at all on the number of files you can convert. Free PDF conversion online is easy to use and the conversion process is handled 100 percent online, which means that you don’t have to go through the hassle of downloading or installing any type of software on your computer. The service is also safe and secure; it comes with the guarantee that your inputted e-mail address will never be shared with any third parties. Once you receive your converted file, the file will be deleted from PDFConverter’s database after 24 hours, so there are no privacy issues to worry about either. Free pdf to word converter online and free online word to pdf converter, you can do all things with this tool. Soon you will receive a link via email that will allow you to download your converted file. Not only is the process simple and easy, but the converted files you receive are immaculately accurate in depicting the content of the original PDF. So if you are looking for a quick, easy and hassle-free way to accurately create and convert PDF files online, look no further than free PDF conversion online and bookmark the page.